Martin Dolan was born in Scotland in 1957 and was raised in Armidale, where his parents both taught at the university. He was educated at Armidale High School and the University of New England, where he completed a Bachelor of Arts degree with Honours in French. Martin subsequently had a thirty-six year career with the Australian Government. He started his public service career in 1980 with AusAid, managing aid projects in developing countries, including a two-year posting to Bangladesh. He then undertook various corporate management roles in the Department of Agriculture, Fisheries and Forestry, including as Chief Finance Officer and Head of Corporate Management. From 2001–2005 he was Executive Director, Aviation and Airports at the Department of Transport and Regional Services, with responsibility for airport sales and regulation, aviation security, aviation safety policy and international aviation negotiations. He was given charge of aviation security for two years in the aftermath of the events of 11 September 2001. In 2006, Martin was the first Chief Executive Officer of the Australian Energy Markets Commission. Following that, he was Deputy Chief Executive Officer and then CEO of Comcare, with responsibility for the occupational health and safety and workers’ compensation of Commonwealth employees. 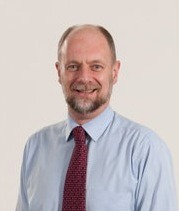 In July 2009, Martin was appointed as the first Chief Commissioner of the Australian Transport Safety Bureau for a term of five years, which was later extended for a further two years. The ATSB investigates transport accidents in the air, rail and marine sectors. In addition, it had led the search for the missing Malaysia Airliners flight MH 370. Martin retired from the Australian Public Service in 2016 to focus on his writing. He is currently a PhD candidate in creative writing at the University of Canberra. Martin was appointed as a Director of UNE Foundation Limited at the Annual General Meeting on 28 February 2017.